Notwithstanding that real estate recovery has taken time to gain traction, foreigners are fueling capital injection in Nigeria and other Sub-Saharan Africa countries, with South Africa and United Kingdom investors leading the way. Although, an oversupply of high-end property and limited access to finance have underpinned the market’s slow bounce back, prospects are looking up for the second quarter of the year. According to a report from international brokerage, Knight Frank, the persuasive long-term investment case for Sub-Saharan Africa has drawn increased numbers of international investors to investigate opportunities within the region over recent years, albeit transactional activity has been restricted by the limited availability of investment- grade stock and the opacity of the markets outside of South Africa. Interest in the sector remains heightened, despite the weakening of some Sub-Saharan economies over the last two years. Two years ago, Investors’ appetite for Sub-Saharan real estate was highlighted by the announcement that the UK-based emerging markets specialist Actis had raised US$500 million for its third African property fund, Actis Africa Real Estate Fund 3. This is the largest amount that has ever been raised for a private real estate fund focused on Sub-Saharan Africa outside South Africa, and it included a commitment from the Government of Singapore Investment Corporation (GIC). The report revealed that Actis’ two previous funds, closed in 2006 and 2012, have been involved with some of Sub-Saharan Africa’s most modern commercial property developments, in countries such as Ghana, Kenya, Nigeria and Tanzania. In recent years, Actis has exited from many of its first wave of investments, selling its interests in assets including the Accra Mall, Nairobi Business Park and Ikeja City Mall. When Actis launched its first Sub-Saharan Africa fund over a decade ago, it was a pioneer entering a market largely untapped by global property funds. However, its third fund will enter a significantly more crowded marketplace as a series of property investment vehicles have emerged in recent years targeting Sub-Saharan real estate. Many of these are South African- controlled funds, albeit often registered or listed offshore in Mauritius. A prominent example is RMB Westport, which was created in 2008 as a joint venture between Rand Merchant Bank and the Westport Property Group. Its development projects were the Wings Office Complex in Lagos and Muxima Shopping Centre in Luanda. RMB Westport’s second fund, which has a target of raising US$450 million, has attracted commitments from both GIC and the UK investor Grosvenor. Other real estate investment vehicles to have been launched in the last two years include a pan-African joint venture created by Growthpoint and Investec, which has the target of raising US$500 million. Momentum Global Investment Management and Eris Property Group have also formed a joint venture, the US$250 million Momentum Africa Real Estate Fund, which has allocated capital to development projects in Ghana and Nigeria. The Anglo-South African group Old Mutual signalled its intention to expand its African footprint by announcing a partnership with the Nigerian Sovereign Investment Authority. This venture aims to raise US$500 million for a real estate fund, in addition to a US$200 million agriculture investment vehicle. A further noteworthy event was the creation of Mara Delta, a pan- African real estate fund formed from the merger of Delta Africa and Mara Diversified Property Holdings. During 2016, Mara Delta was one of the most acquisitive buyers of real estate across the region, growing a portfolio which currently includes assets in Kenya, Mauritius, Morocco, Mozambique and Zambia. An estate surveyor and valuer, Mr. Akin Olawore who doubles as the president of Nigerian-British Chamber of Commerce (NBCC), told The Guardian that most of the commercial buildings standing today were financed and built by such investors. “These are part of the sums that make up Foreign Direct Investments (FDI) to Nigeria, which is highest in the last five years in SSA. “Statistics show that we have opportunities in those sectors and also have the strength of bringing in anchor tenants. 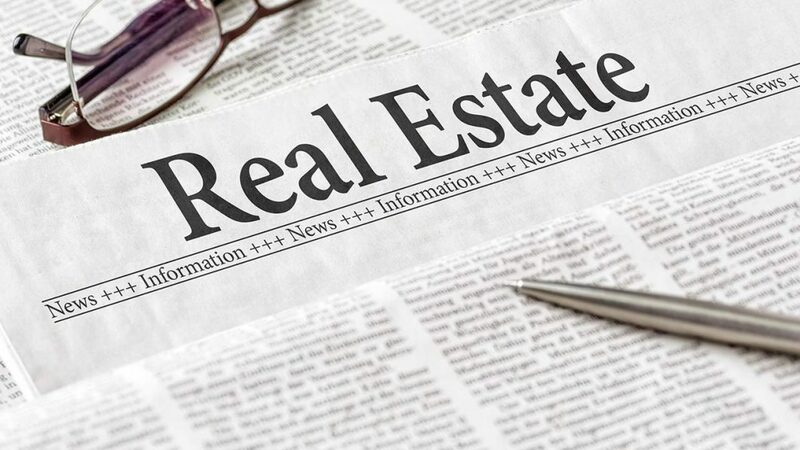 A past Chairman of the Nigerian Institution of Estate Surveyors & Valuers (NIESV), Lagos State Branch, Mr. Stephen Jagun said that the returns are too juicy to be ignored.